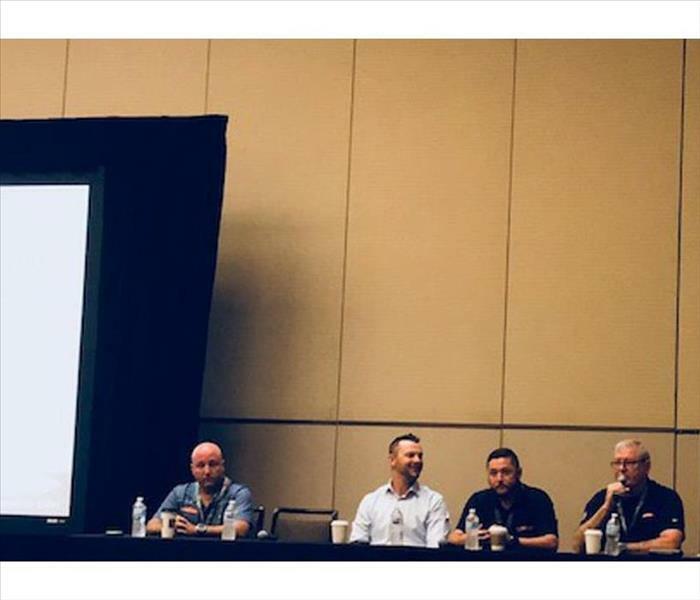 The advantages of having a SERVPRO Emergency Ready Plan profile were shared last week by SERVPRO Account Manager, Jason Miller, at the Community Associations Institute meeting. The 2018 NFFF Knoxville Stair Climb Event is to honor and recognize the firefighters who gave their lives while saving others on September 11, 2001. We pay tribute to all our nation's firefighters who have fallen in the line of duty. This annual fund raiser and rememberance ceremony takes place at the Sunsphere at Worlds Fair Park in Knoxville. All First Responders including firefighters, EMS, police, and military personnel are welcome to particpate. We climb the equilavent of 110 stories of the World Trade Center buildings to signify our understanding and depth of gratitude to the 343 firefighters, 60 police offers, and the 10 EMS who sacrificed their lives so that others may live. This event benefits the FDNY CSU with donations for the families of our fallen heroes, who to this day are affected by the calamity of that day a short 17 years ago. Kristina Greenway, our co-owner, is the event coordinator. Kristina and the rest of the SERVPRO Team will be on-site from before dawn to help set up this American Tribute to Our First Responders. We are proud to honor their memory. The Greenway storm team is traveling to Alexandria, Virginia to assist local homeowners and business owners with recovery from the recent severe storms. 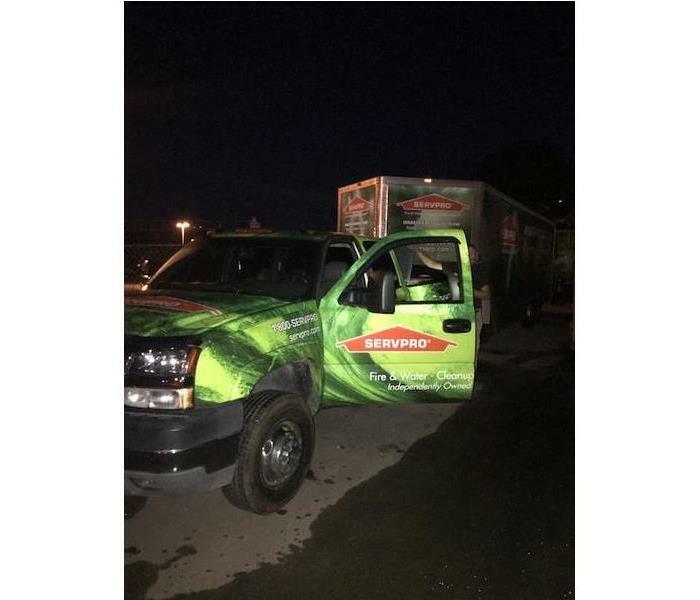 The highly trained crew members packed up the SERVPRO fleet and headed out at 6 AM in the morning. Team member including Casin, Kody, Zedebekiah and Joshua will meet Sean,who is already onsite helping those in need. 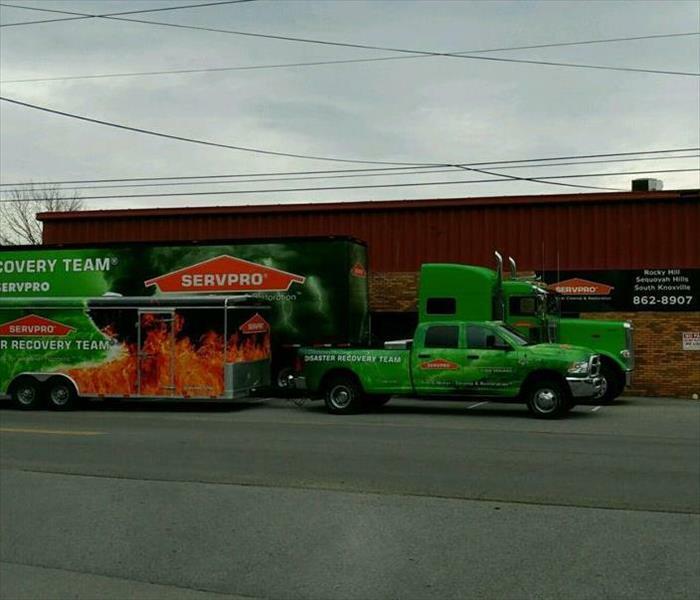 SERVPRO of Rocky Hill / Sequoyah Hills / South Knoxville is always ready to help. 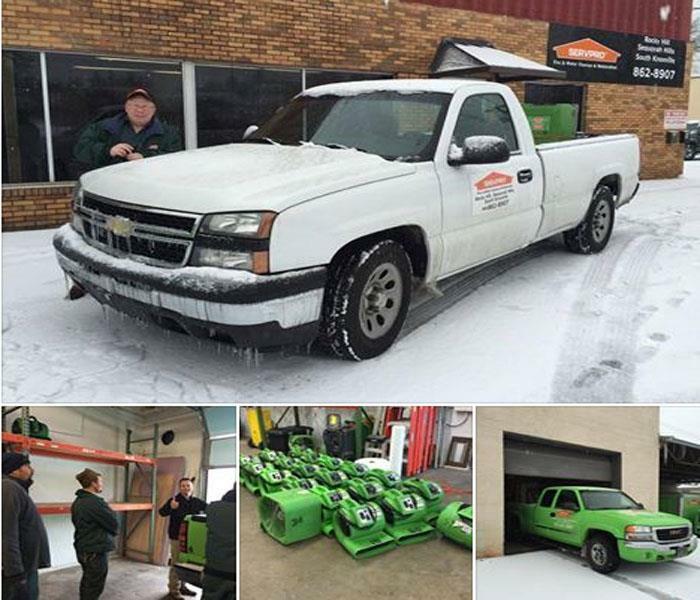 Our SERVPRO of Rocky Hill / Sequoyah Hills / South Knoxville franchise was asked to share some recent storm experiences we have encountered with our fellow franchisees. We are proud to be an integral part of SERVPRO Disaster Recovery Teams and have many tales to tell. The logistics of helping out our distant neighbors in Daytona Beach after Hurricane Matthew, Super Storm Sandy in New York, and Hurricane Harvey in Houston encompassed a lot of preparation, experience, and skill. We are pleased to share these efforts to help us all better serve those in need. Kristina L Greenway our VP and owner along with husband John firmly believes that "Helping others in their time of need is one of life's greatest privileges." Our team at SERVPRO of Rocky Hill / Sequoyah Hills / South Knoxville are in Orlando, Fl for the SERVPRO convention. 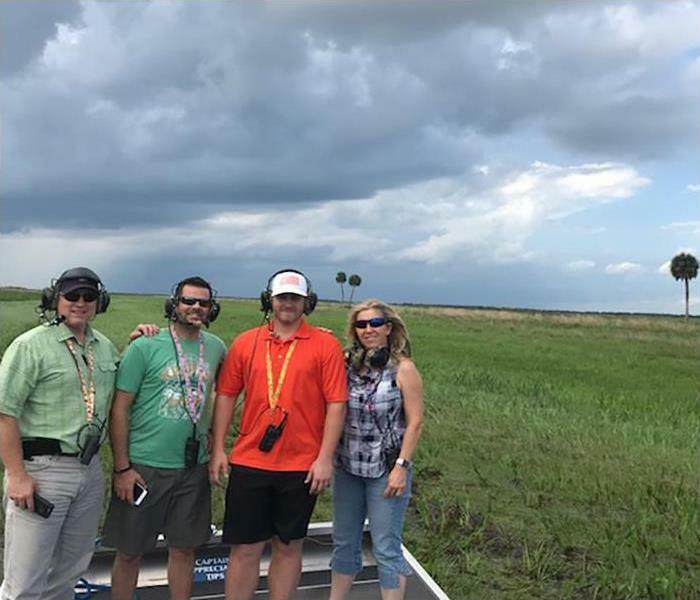 Our crew decided it would be fun to go on an airboat adventure. This is a great way to start off our time in Orlando! 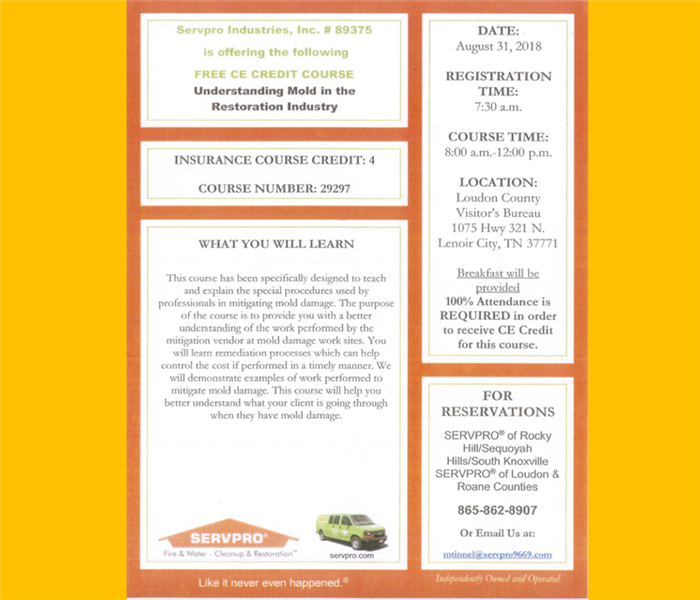 SERVPRO of Rocky Hill / Sequoyah Hills / South Knoxville is sponsoring a 4 credit hour Continuing Education (CE) class on August 31. The class will be held at the Loudon County Visitor's Bureau at 1075 Hwy 321 in Lenoir City. The class starts at 8:00 am, but registration begins at 7:30, so please arrive early to give yourself plenty of time to register and eat a good breakfast! 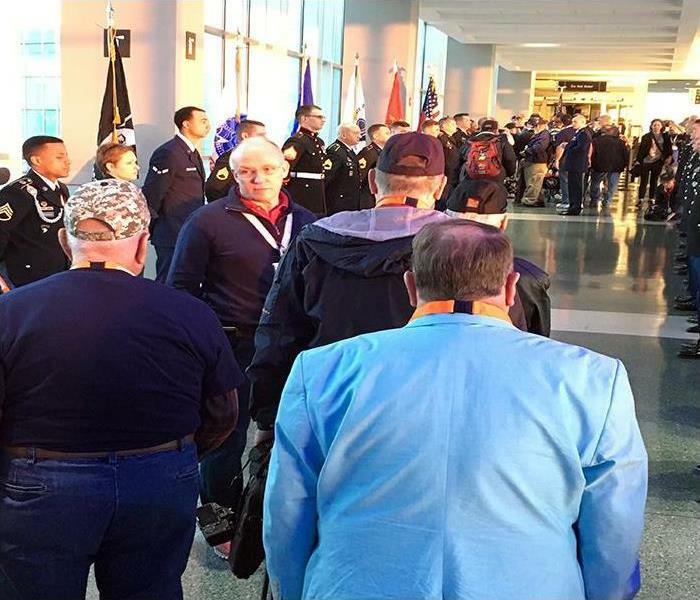 Our owner John Greenway was a volunteer this morning at the HonorAir Knoxville Flight #26 event. He was joined by the HonorAir Founder, Eddie Mannis. This organization flies veterans from WWII, Korean War, and Vietnam War to Washington to honor their sacrifice and provide closure. We will be at McGhee Tyson Airport this evening for the 'Welcome Home' Celebration. From our family at SERVPRO of Rocky Hill / Sequoyah Hills / South Knoxville, we thank you for your service and sacrifice. Our team had a blast at the recent St. Patrick’s Day Parade in Downtown Knoxville. Over a thousand people were in attendance which made for a fantastic turnout. Marchers, local businesses, and first-responders participated in the parade with us as we made our way across downtown. We love when our local community gets together to celebrate fun holidays. Thank you to everyone who attended! 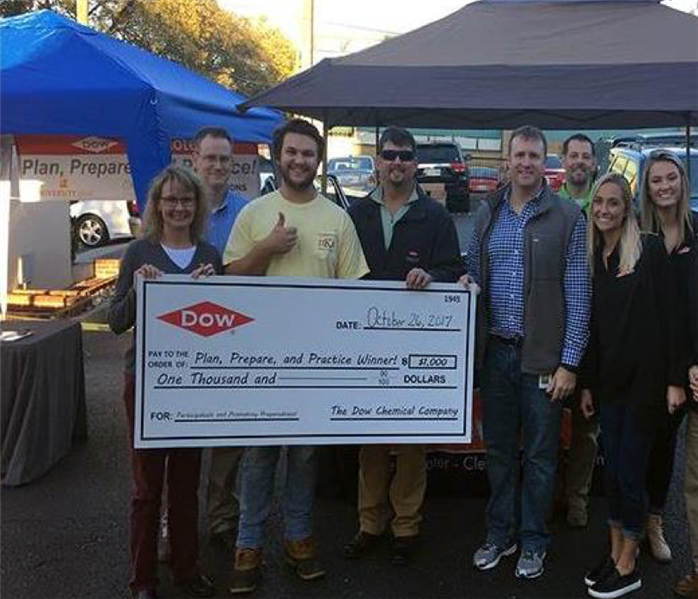 The team at SERVPRO of Rocky Hill / Sequoyah Hills / South Knoxville and our friends at The Dow Chemical Company presented the winner of The Safety Information Challenge their prize. The check for $1000 was given to the lucky winner at The Knoxville Commons. The winner won for promoting preparedness. Congratulations to the winner and enjoy your prize! The team at SERVPRO of Rocky Hill / Sequoyah Hills / South Knoxville was recently at The Commons to interact with University of Tennessee students. We were teaching and practicing safety lessons with them regarding residential water, fire, and mold damage. The students also learned more about the restoration industry and our services. 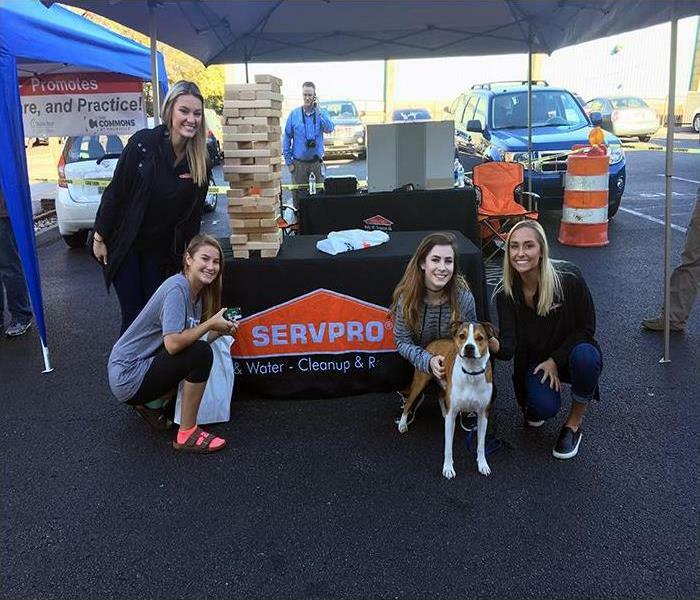 We gave out door prizes, and no one could resist playing SERVPRO Jenga! At SERVPRO, we like to share the knowledge we have to help others understand more about water, fire, and mold. 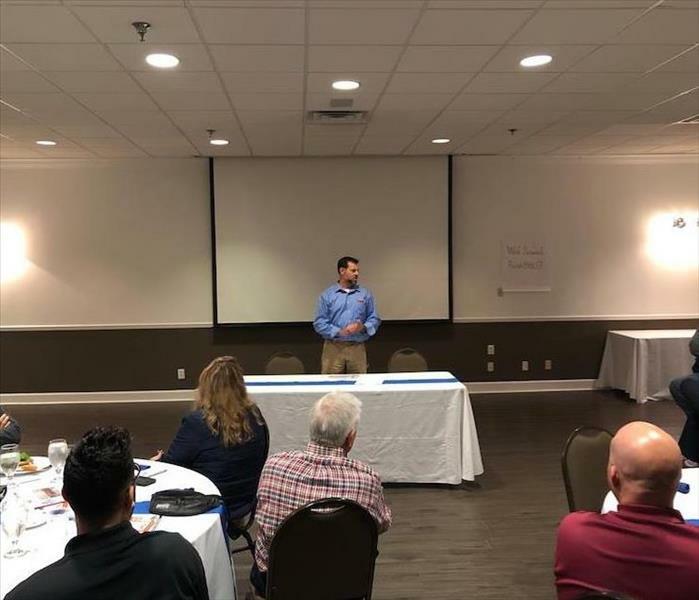 Our team had a great time at the 'Breakfast and Learn' with Drew Griggs from State Farm on 'Understanding Water Remediation'. We love being able to learn from and educate other businesses so that we can benefit the local community. Our SERVPRO of Rocky Hill/Sequoyah Hills/South Knoxville crew is looking forward to the next networking event in the Knoxville area! 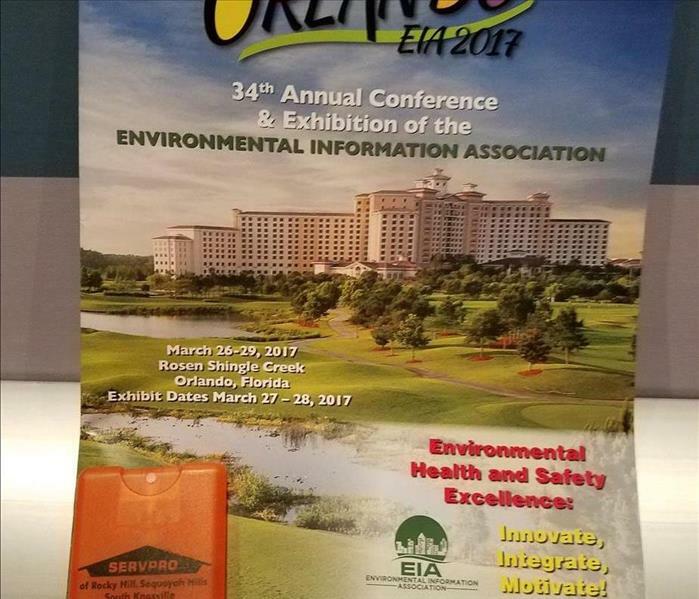 Kristina Greenway, VP of SERVPRO of Rocky Hill, Sequoyah Hills, South Knoxville attended The Annual EIA Conference & Exposition in Orlando. The EIA Conference is the source for information on mold identification and remediation, environmental sampling and analysis, indoor air quality, lead-based paint abatement, asbestos management and much more. Attendees enjoyed continuing education presentations from ABIH, ACAC and other certifying bodies. Kristina is CBRM certified. 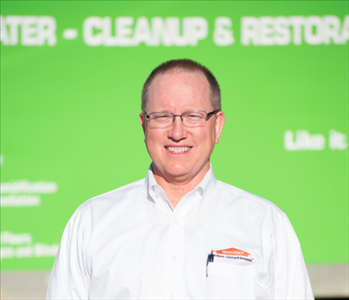 (Certified Bio Recovery Master) Our SERVPRO team is trained to safely remove biohazards and dispose of them properly in accordance with OSHA and health regulations. We are looking forward to celebrating ABRA’s 20th Anniversary at the 2017 ABRA Annual Conference. 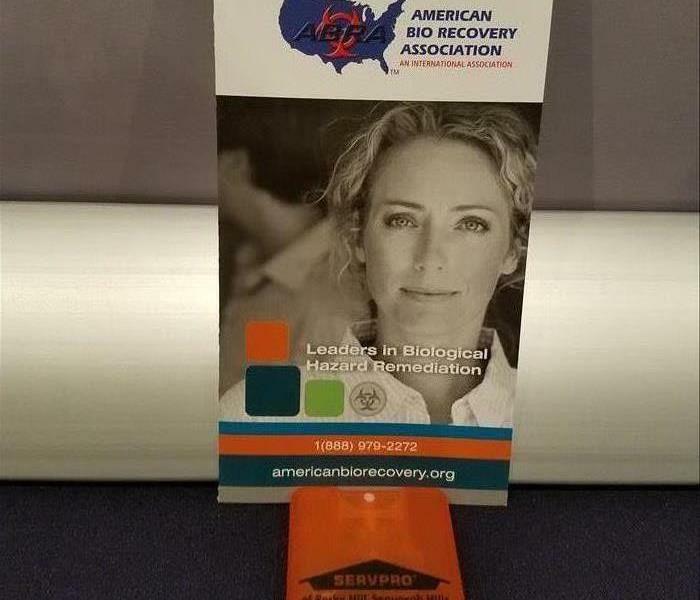 (American Bio-Recovery Association http://americanbiorecovery.org/SocialSite/abra-conference ) Each year, ABRA member attendees experience the chance to expand their horizons by learning about new and evolving trends in the field. ABRA believes in providing high quality, creative learning opportunities. The education sessions during this conference allows for immediate and personal interaction with active members and speakers. Attendees have the ability to take an active role in face to face discussions with peers in the industry. Our Vice President Kristina Greenway is CBRM certified. 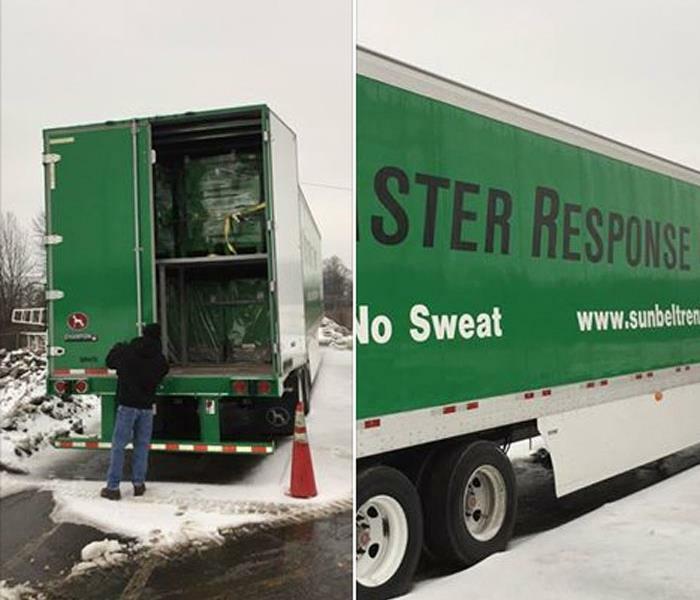 (Certified Bio Recovery Master http://americanbiorecovery.org/SocialSite/abra-certifications) Our local SERVPRO team is equipped with the necessary safety apparatus and cleaning products to help transform unhealthy environments back into clean, safe homes and offices. Our SERVPRO of Rocky Hill/Sequoyah Hills/South Knoxville team recently participated in the St. Patrick's Day parade in Downtown Knoxville. It was an especially festive time for us because it was our first debut as a Large Loss Recovery Team. We are so very proud of this milestone, and we couldn't have done this without our hardworking team members. Thank you to everyone who came out and supported us! We love participating in our local community. 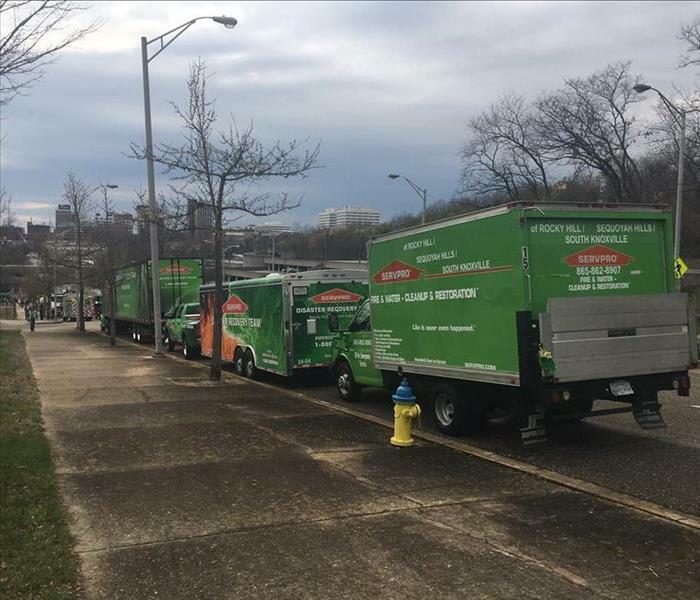 Our SERVPRO green fleet is ready for the St. Patrick's Day parade in downtown Knoxville. We celebrate East Tennessee’s rich Irish heritage and acknowledge the role Irish immigrants and Americans of Scots-Irish descent have played in the history of Knoxville. Knox St. Patrick's Parade, LLC is a non-profit and proceeds from the parade will benefit Catholic Charities of East Tennessee and East Tennessee Kidney Foundation. Our local team of restoration experts are always happy to help the local community. Volunteers recently attended the National Fallen Firefighters Foundation 2017 Coordinators Meeting. It was a great opportunity to share information and learn from each other. The NFFF mission is to honor and remember America's fallen fire heroes, to provide resources to assist their survivors in rebuilding their lives, and work within the Fire Service Community to reduce firefighter deaths and injuries. We continue to support this very important organization. Jay Miller of the SERVPRO of Rocky Hill/Sequoyah Hills/South Knoxville team shared this photo of the donations and relief efforts for the Gatlinburg wildfire victims. 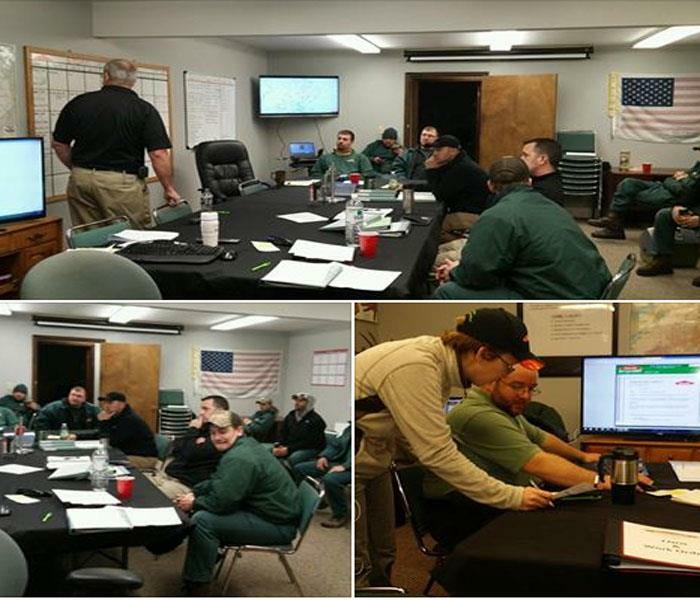 Jay and our team are in the area supporting SERVPRO of Sevier, Jefferson & Cocke Counties. We are supplying manpower and assisting in coordinating donations to support our friends and neighbors in their hour of need during this historic wildfire event. Residents impacted by the fire can pick up personal items needed immediately at the following 2 locations … Sevierville Rescue Squad behind Big Daddy's and Huck Finn’s. The local families are in our thoughts and prayers. Below are sources of information regarding the efforts underway to ease the burden. The residents need our help now. Please give to Red Cross or 1st Baptist on the Parkway in Gatlinburg. Click for more info https://tennesseeredcross.blogspot.com/2016/12/frequently-asked-questions-gaitlinburg.html For Frequently Asked Questions: Gatlinburg, Pigeon Forge Wildfire Response click here Thank you for your kind support and donations. 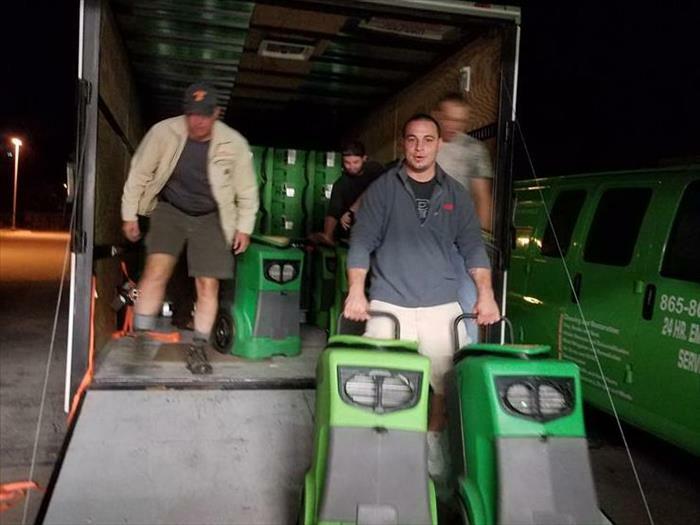 SERVPRO of Rocky Hill/Sequoyah Hills/South Knoxville has responded to the call for help after Hurricane Matthew. 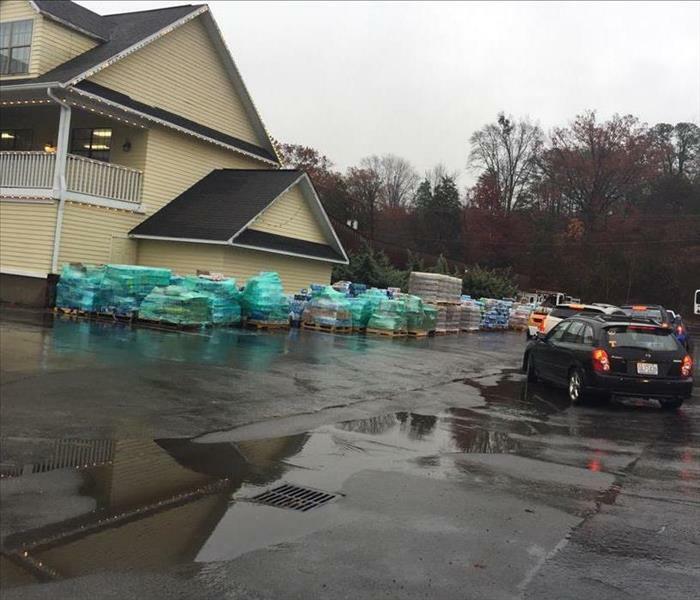 Our highly trained team has experience with residential and commercial properties affected by storms and flooding. We can respond quickly to restore your home or business back to pre-storm condition. Sean Greenway our STORM First Responder/Consultant, and his team traveled to Daytona Beach, Florida to help the recovery efforts. Also traveling from our team is Tim Visser our Storm Production Manager, Casin Chandler our Storm Team Leader and Storm Technicians Scott Russo and Andrew Visser. From Knoxville to Daytona Beach, we are always here to help. 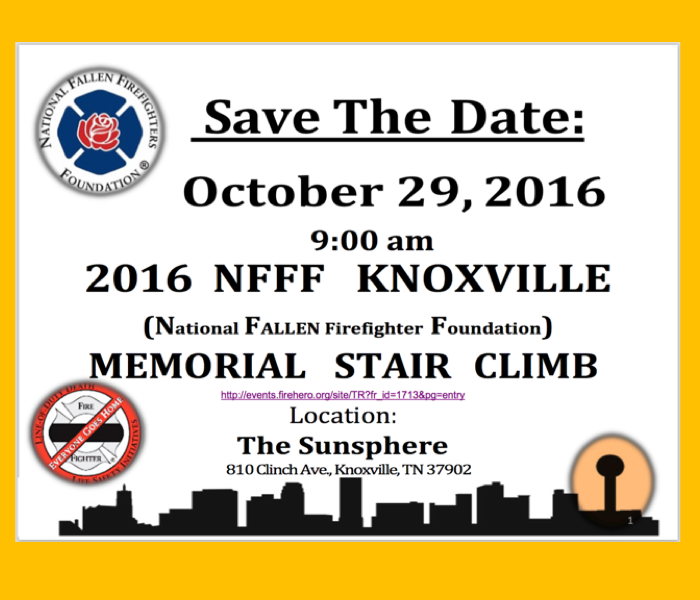 The 2016 NFFF Knoxville Stair Climb event is to honor the 343 firefighters who gave their lives while trying save others on September 11, 2001, and for all other firefighters who have fallen in the line of duty. First Responders who participate in the event will wear each wear a photo of a fallen firefighter, as they climb the stairs representing 110 stories of the World Trade Center. This is a fund raising event. The donation for First Responders from anywhere who wish to participate is $35, and they will receive a T-Shirt and numbered challenge coin. Kristina Greenway, co-owner, is the event coordinator. Kristina and the rest of the SERVPRO Team will be on site at the Sunsphere at 5 am the day of the event setting up. 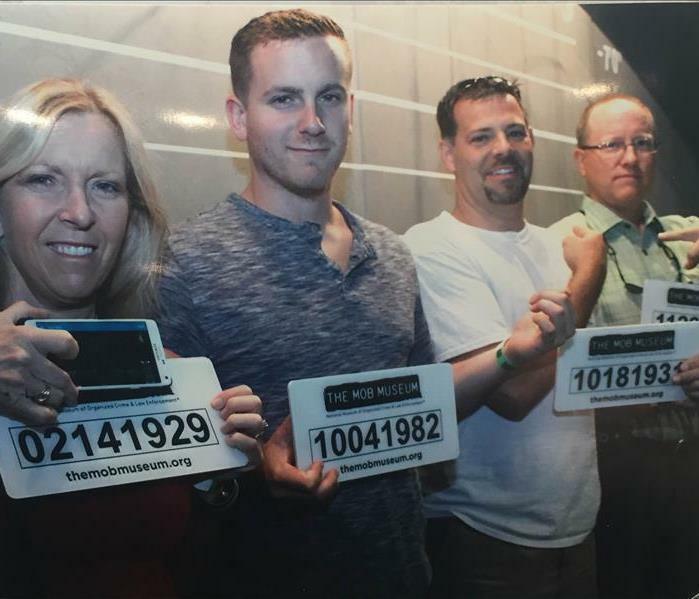 When the SERVPRO of Rocky Hill / Sequoyah Hills /South Knoxville Mob came to Las Vegas for the Annual SERVPRO Convention they just couldn't stay out of trouble. The Line Up is book-ended by owners Kristina and John Greenway. The two center perpetrators, ratting on each other, are Sean Greenway and Jason Miller, both alleged SMR's, SERVPRO Marketing Reps. They all got "busted" for impersonating IICRC-Certified Technicians. Their court appearance is pending. 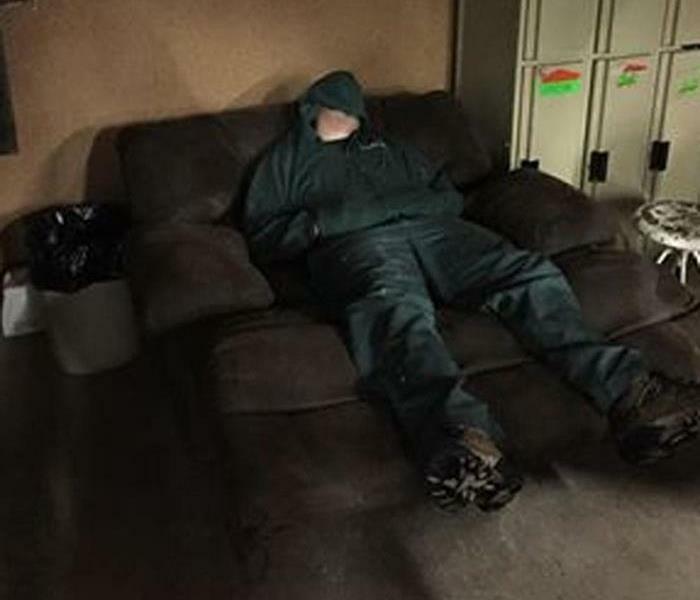 Fortunately, this franchise has adequate personnel waiting for your call for any mold, fire, or water damaging event. (865) 862-8907. Our SERVPRO Storm Trooper, Casin Chandler, finally met his Mini-Me. He earned his trophy (Award) by surviving a number of storm related disasters from start to finish, not only with the recent storm freeze, but also with Super Storm Sandy and many others throughout his many years of service. 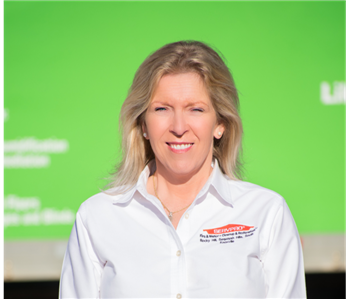 We are proud to have this outstanding Crew Chief as part of our SERVPRO of Rocky Hill / Sequoyah Hills /South Knoxville team. Many congrats, Casin. 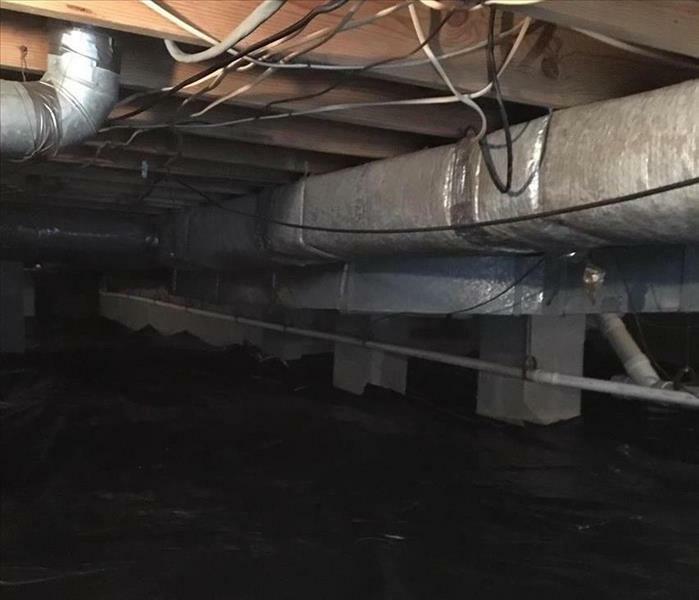 SERVPRO of Rocky Hill / Sequoyah Hills / South Knoxville got the call from an extreme team. They are headed to Houston for the floods; they need a lot of help! SERVPRO of Rocky Hill and Sunbelt working together again to make it “Like it never even happened.” Thank you to Tommy Darnell and Michael Mandrell for understanding how important it is to get here fast, and great job. With the best team in the country we are the best equipped to restore our customers' lives, homes, and businesses to normal. When you can choose anyone to remove water damage or smoke damage, choose the team you can trust at SERVPRO of Rocky Hill. 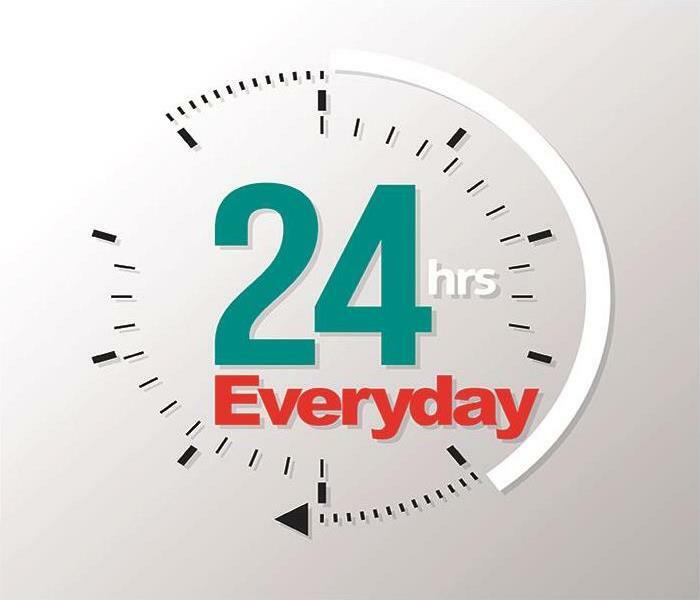 When our customers and our community seek help the clock never stops for us. You sleep when and where you can to keep going to help others get back to their lives as quickly as possible. Special thanks to our entire SERVPRO of Rocky Hill hero's! Restoring customers' lives, homes, and businesses is our greatest privilege. When your life is disrupted count on our team of professionals to get you back to normal quicker. Special thanks to our team members like Rocky Glenn, Casin Chandler, Christy Bohon, Mark Sykes, Tim Visser, and their quality team members working countless hours during this harsh winter storm event. 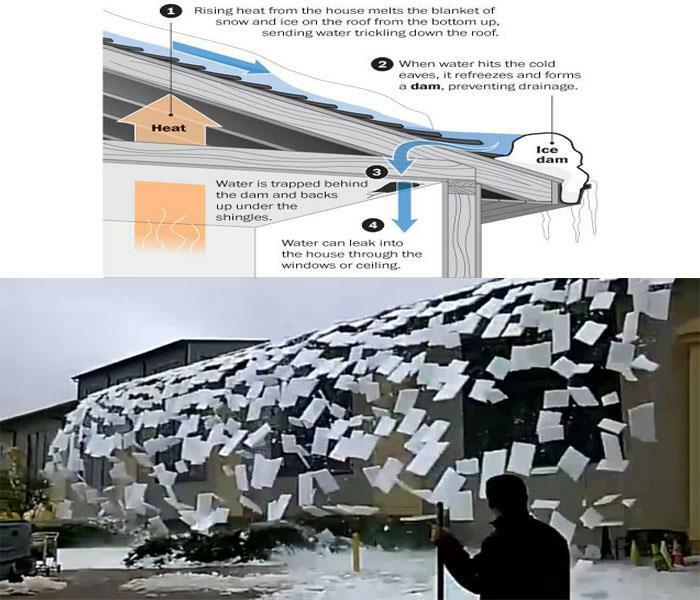 Be mindful of possible water damage due to the recent freezing weather, as well as falling snow and ice from thawing buildings. Stay safe everyone, and remember that we're here 24/7 should you have a water leak due to freezing pipes.